Looking To Visit Our Masjid? The Islamic Center of Midland is a place of worship for all Muslims. We welcome anyone who would like to visit, observe the prayers or learn more about our community. You are free to come alone, with a friend or even with an entire classroom, as we believe these experiences and education help promote unity in our community. 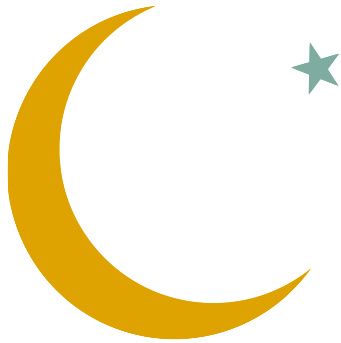 Visiting – Because of our small community, the Masjid is not open all day long. We recommend coming to visit during one of the 5 daily prayer times, however if this does not work, we can arrange a time that fits into your schedule. Prayer times are available on our website. Prayers last about 10-15 minutes, therefore allowing about 30 minutes for a visit during this time would be appropriate. Dress – Modest attire by both men and women is appreciated when visiting, with bottoms at least to the knees. A head scarf is a form of respect to Allah (God) in the Masjid, just like it is in the Vatican. A head scarf for all females (women and children) is preferred but not mandatory. We want you to be comfortable. 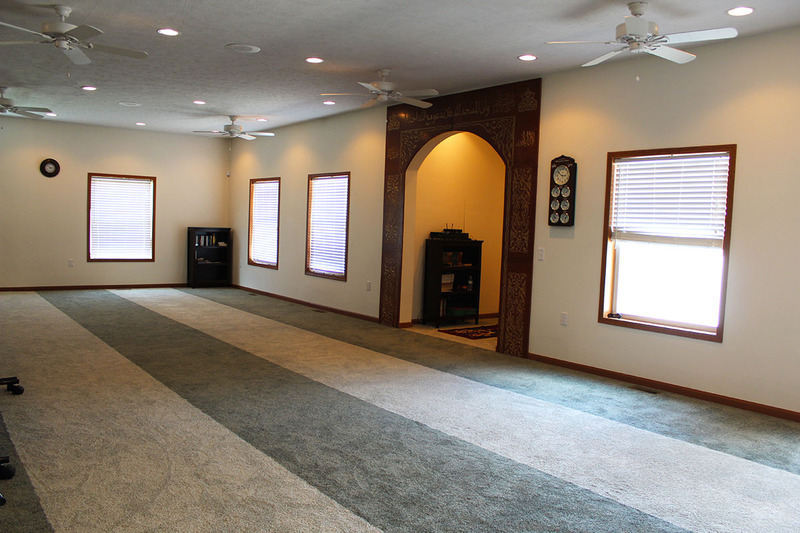 Layout – Our Masjid is on one floor with a large carpeted area in the prayer room and is handicap accessible. 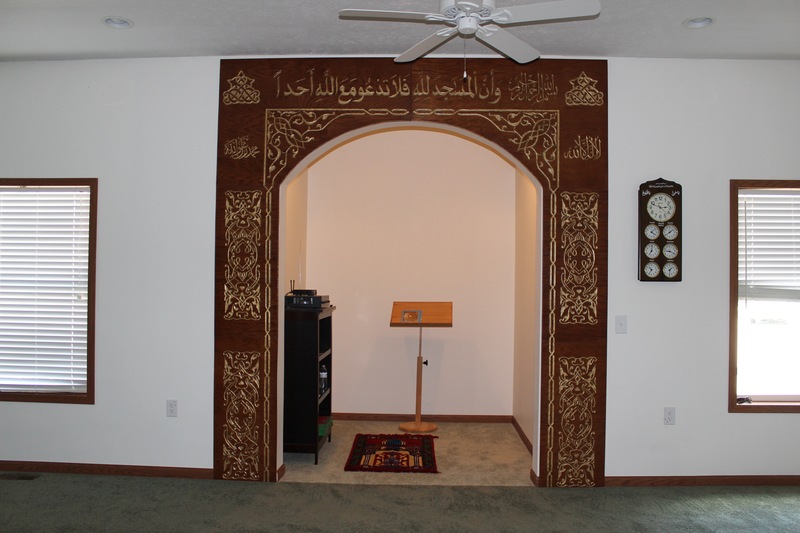 The prayer area usually is partitioned from the Brothers for the comfort and ease of all our Sisters. Once you are in the foyer there are two separate entrances labeled above each door with a closet and place to put shoes for Brothers & Sisters. There is also an activity room behind the prayer area that has a portable partitioned and is opened in the event of larger celebrations. 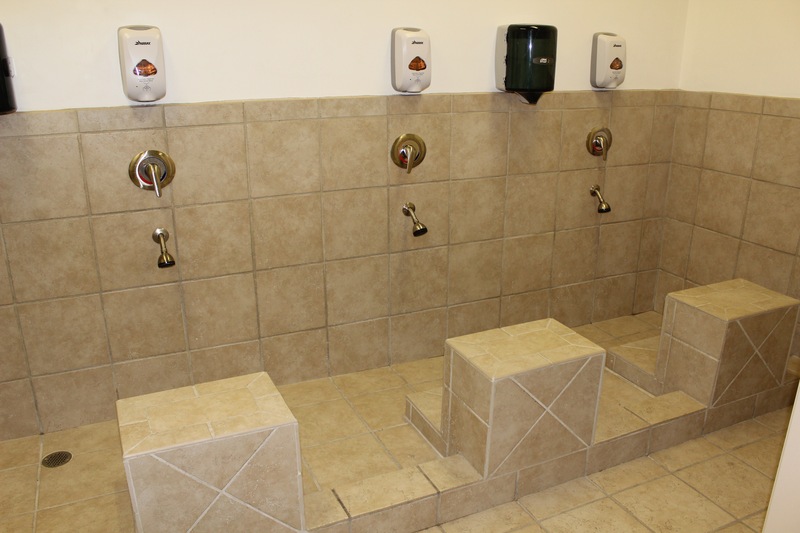 We offer full bathroom facilities for Wudu (cleansing before prayer). During Prayer – Please leave your shoes outside of the prayer room, allowing your clean feet to enter on the carpet and turn off your cell phone.When the prayer is in session, you may have a seat in a chair or on the floor in the back of the room and make yourself comfortable.If possible, don’t walk in front of someone when they are praying as it is not respectful. Something to note is that when someone is praying, they will not speak or respond if you ask a question. The prayer is complete when the person turns their head to the right, followed by the left. Friday Prayer (Jumma) – Friday is the day of congregational prayer for Muslims (as Saturday is for Jews and Sunday is for Christians). There is a short sermon called a Khutbah by one of our community members followed by a short prayer at the Masjid. Say Hello – Feel free to speak to other Muslim Brothers and Sisters you meet. We are always happy to answer any questions you may have. Please keep in mind that some Muslims do not shake hands with anyone from the opposite gender (that is a man shaking hands with a woman or a woman shaking hands with a man). This will be known if they extend their hand out to you upon introduction. Placing your right hand over your heart is a great way to say hello.